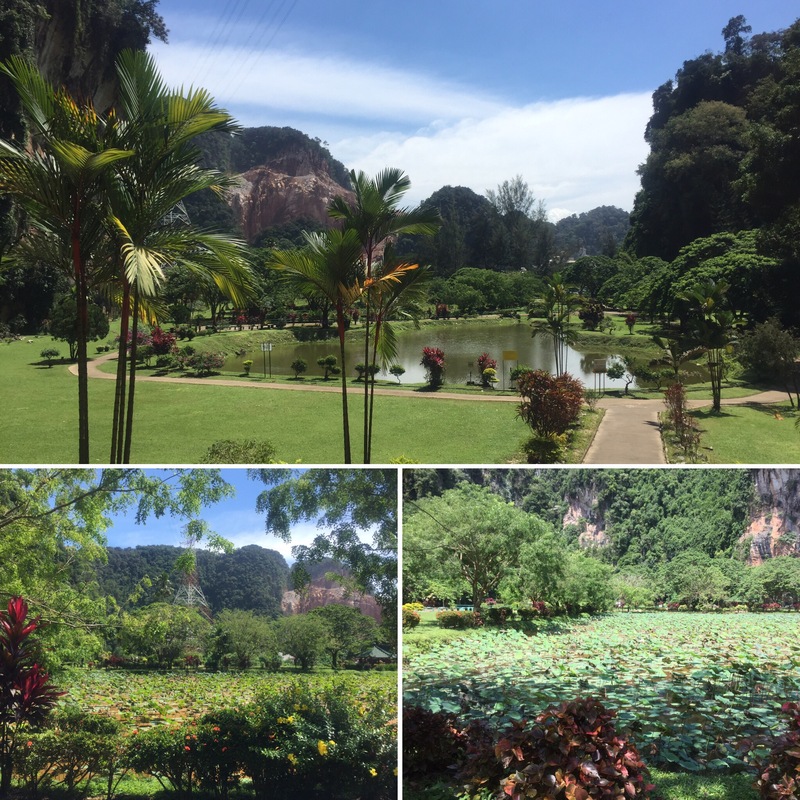 On the 26th October 2017 we arrived in Ipoh, only a two and a half hour bus journey from the Cameron Highlands and a big transport hub to get to a lot of places within Malaysia. We were staying at a hostel called Abby by the River which was in a good location and was one of the cheapest places we had stayed at in Malaysia at around £2.70 a night – always a little bonus to be able to save some money. We arrived in the early evening so any exploring would have to wait until the next day. We found a little food market that was nearby and quickly realised that we were the only white people there. People stared – not in a hostile way but just out of surprise and curiosity – and a lot of the food signs didn’t have any English on them. We thought we were going to struggle but a lovely lady at one of the stalls took us under her wing. She helped make sure we were looked after and accommodated me being vegetarian by modifying her menu. It was another example of how truly lovely the people of Malaysia are – I don’t think I could mention this enough times! Niall had Laksa (a particular type of spicy noodle soup found in Malaysia) and I had a vegetable noodle soup and both were delicious. The next day, Friday 27th October 2017, was my birthday! 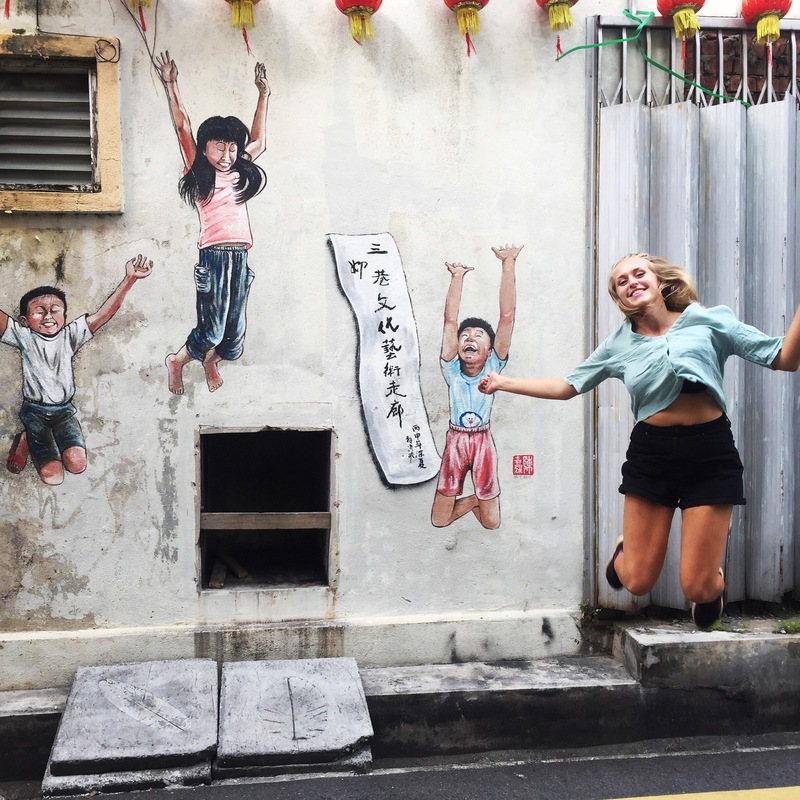 I was now 24, having spent my full year being 23 away from home on the other side of the world (and having a great time). 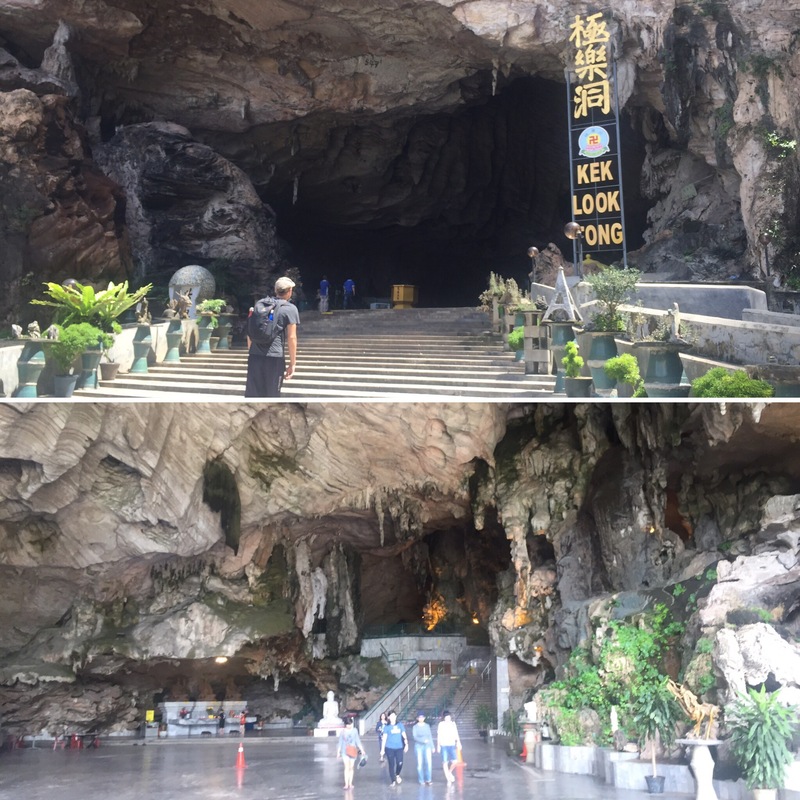 Our first stop for the day was to a cave temple called Kek Look Tong. 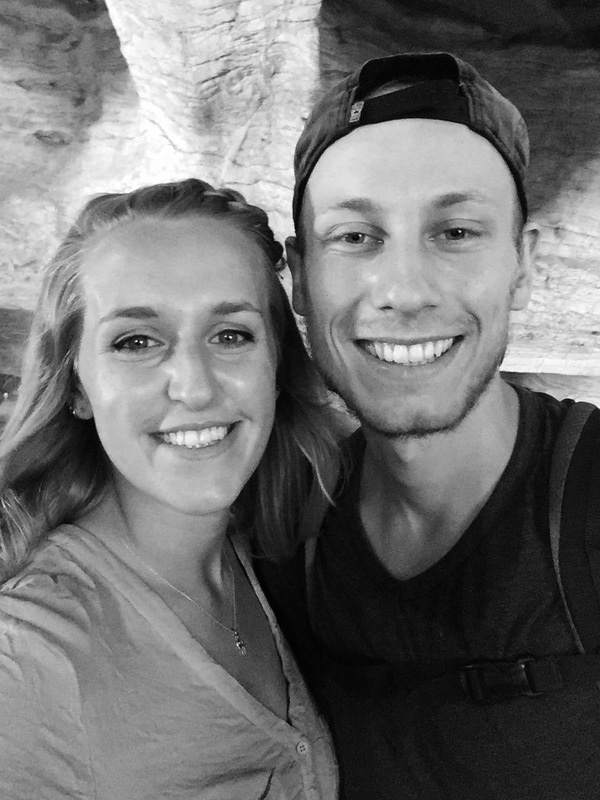 We had been told how to get there by our hostel and the bus driver had also confirmed where we were going – although I hadn’t been 100% that he had understood what I was saying – so we thought it would be a relatively easy journey. I’m sure you can tell that by me saying this, it wasn’t the case! We were dropped off on the side of the road in the middle of nowhere. We checked the maps on our phone and we were nowhere near to the temple – a 2 hour walk away to be exact. We went to ask the locals and they hadn’t even head of the place which was a very bad sign. Thankfully, there was a hotel nearby and the man on reception couldn’t have been more helpful to us. He gave us the wifi password so we could order a Grab (an Asian version of Uber but cheaper) and even gave us a bottle of water each while we waited for it to arrive. We finally arrived in the right place and headed into the cave. The cave is enormously tall with a very open entrance reached by a flight of steps. 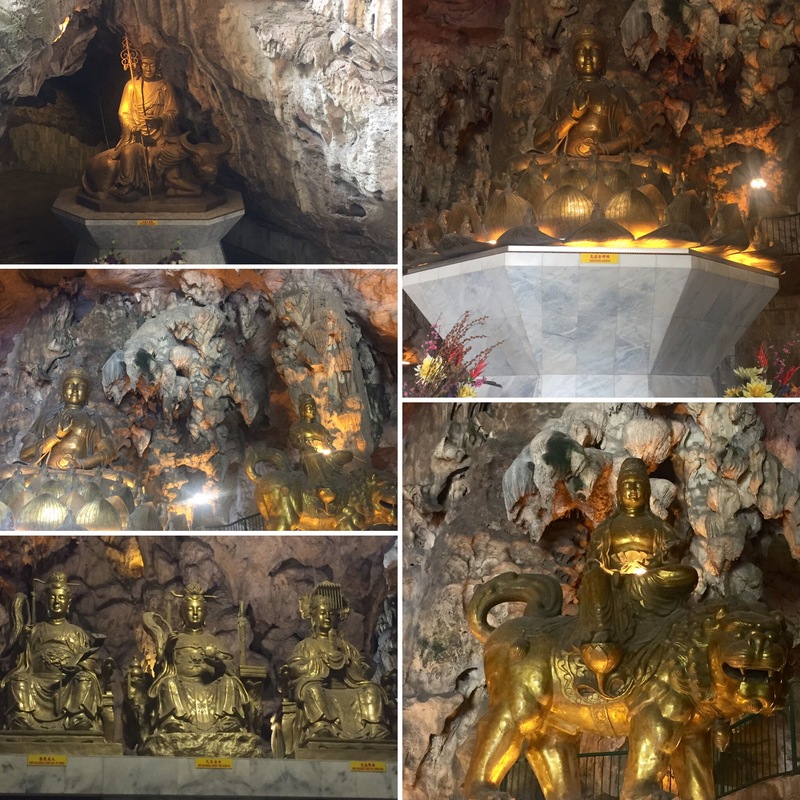 Within the cave are a number of gold statutes of various deities with which people come to worship. 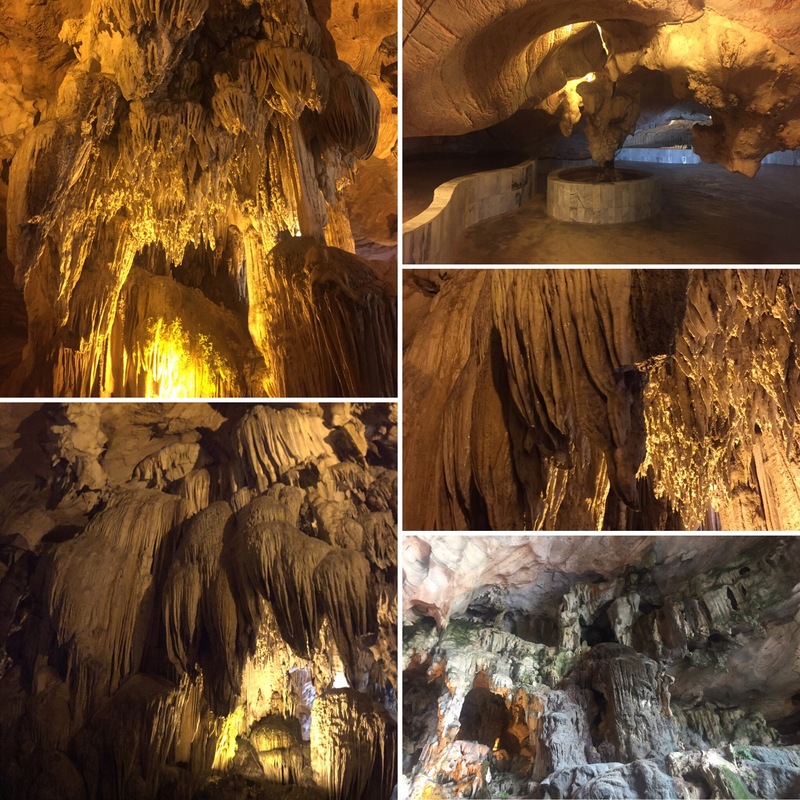 What makes this temple cave really cool though is that it has a range of giant stalactites and stalagmites along the walls and hanging from the ceiling. It was so immense and they had added lighting to enhance particular areas which made the place look even better! 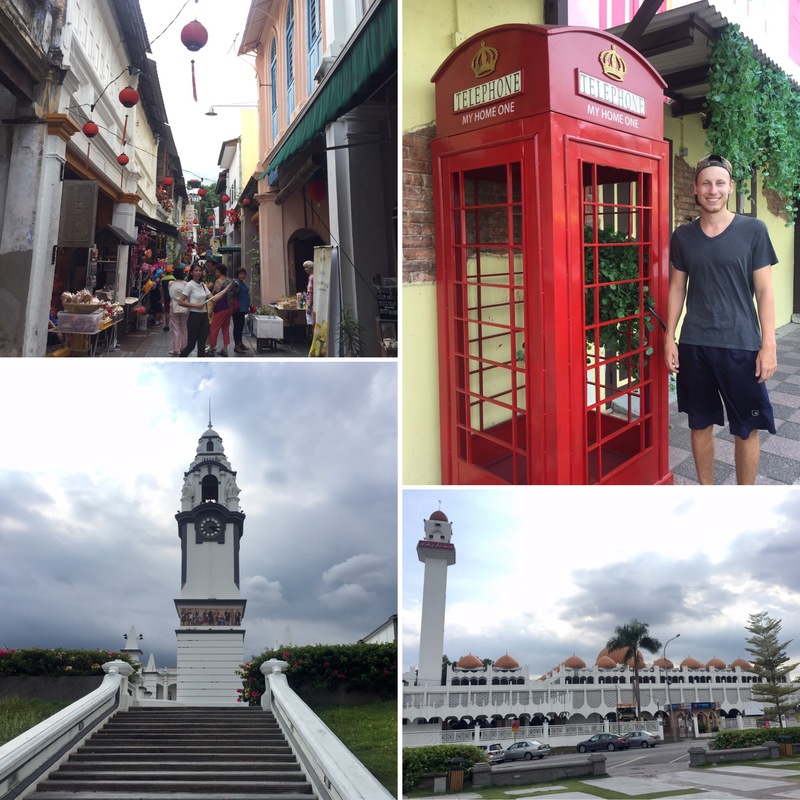 A man in the temple called a taxi for us -which was lucky as we wouldn’t have had a clue how to get back into the city with no wifi – and we then spent some time relaxing in the hostel before we went out to explore the old part of town in Ipoh. A lot of towns in Malaysia appear to have an ‘old town’ and ‘new town’ where they have created heritage areas to preserve the history of an area whilst also developing and modernising in others. 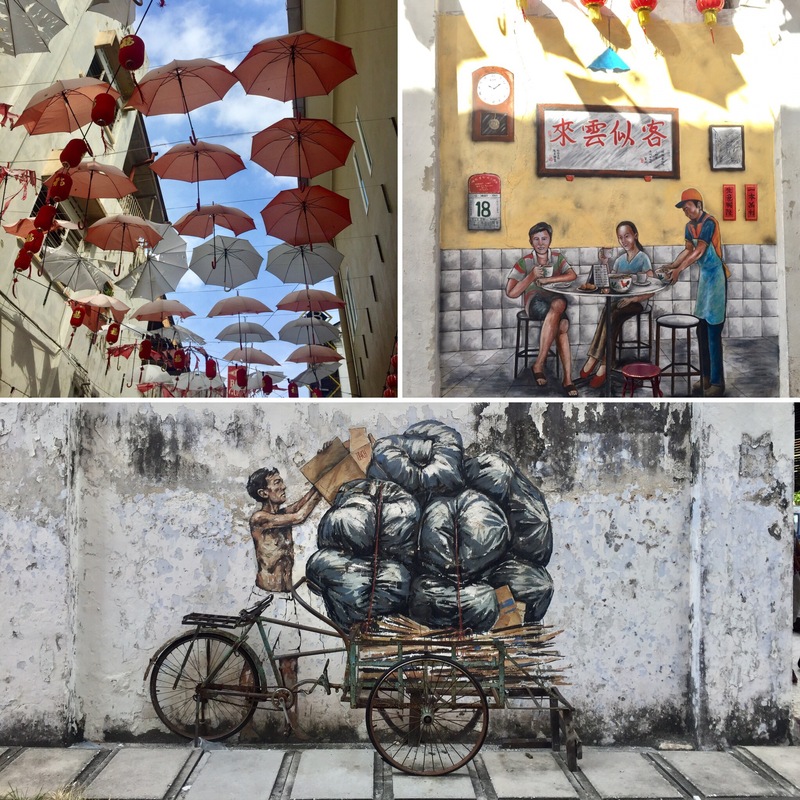 Ipoh doesn’t have a great deal to do in the area but we enjoyed walking around the small alleyways and old streets and looking for the various bits of artwork that were dotted about on the walls. We loosely followed a self guided heritage walk that you could do to see some of the grand buildings that they had had on the outskirts of the old town. There were some very pretty buildings and an enormous grand mosque that blasted out prayer music as we were passing. It was cool to walk around and we got a good vibe from the area but it wasn’t somewhere we could have spent a lot of time in, there just wasn’t enough for us to do. As we headed out for tea we were met by a huge parade waiting to start on the main road outside. 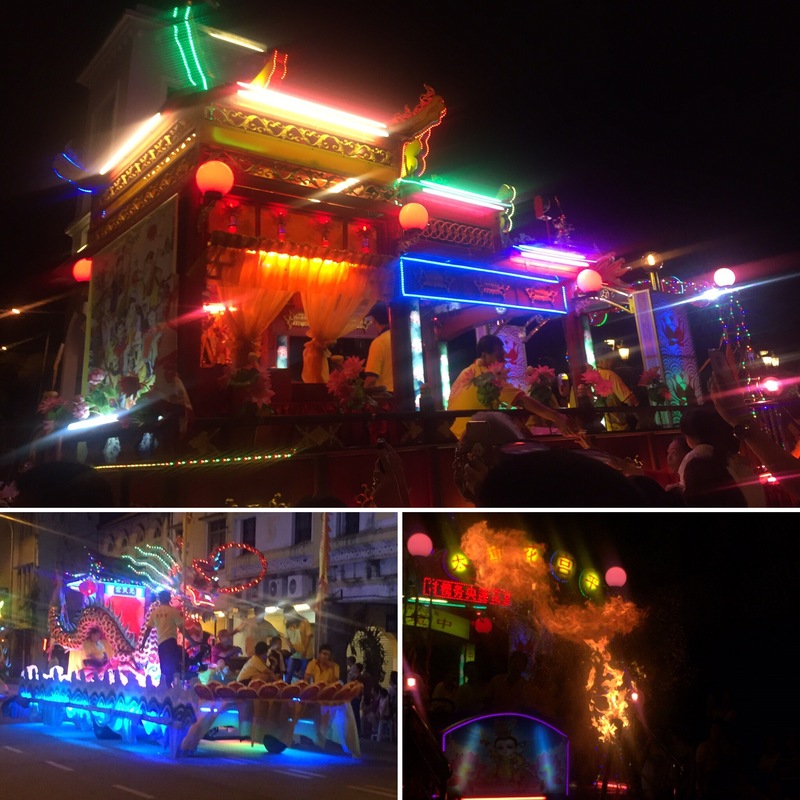 A local told us that this was a Chinese festival that people from all over Malaysia came to Ipoh to see and that it only occurred once every four years – what are the chances for it to happen on my birthday on the year we were there?! We delayed getting food to watch the parade begin and were passed by lit up and decorated cars and floats – some throwing out sweets which was great. 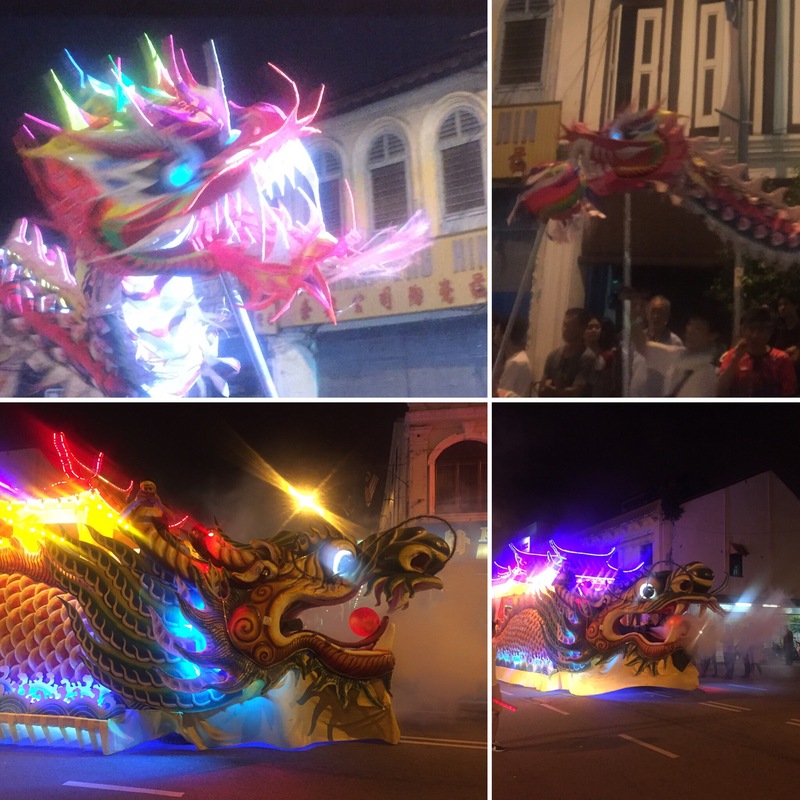 There were also crowds of people carrying worshiping chairs that spun around on their shoulders, paper dragons that they weaved around the floats and even a group of clowns that gave out balloon animals to the children! 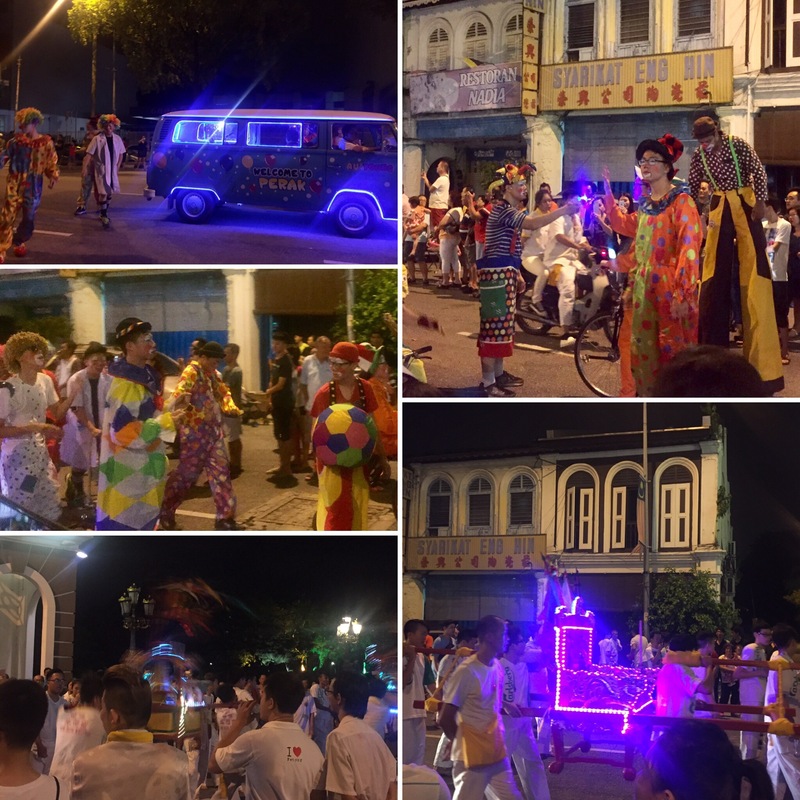 Whilst wandering the streets to find some food – not many places were open, perhaps due to the festivities – we stopped to see a ceremony that was taking place as part of the parade. A man was standing in traditional dress surrounded by people who were holding a very long metal spear (around 20 feet long). Everyone was huddled around these people with cameras waiting for something to happen. The man sat on a stool whilst the long metal spear was pierced through his cheeks! Everyone cheered and the man held onto the metal spear on his own and stood up to walk along the parade. Two young locals explained to us what was going on. In essence (and I apologise for the accuracy of the terminology I used to explain this) the man had been chosen by God and given the power to be speared through the cheeks without feeling any pain. It was considered a huge honour and the man was then going to walk the rest of the parade with the spear sticking through his cheeks balancing it the entire way. They said that this was part of a Chinese culture they had in Malaysia and was very important. Fire crackers were then set off (they knew it was coming and SO laughed at us both jumping) and then the man began his walk to cheers and applause. 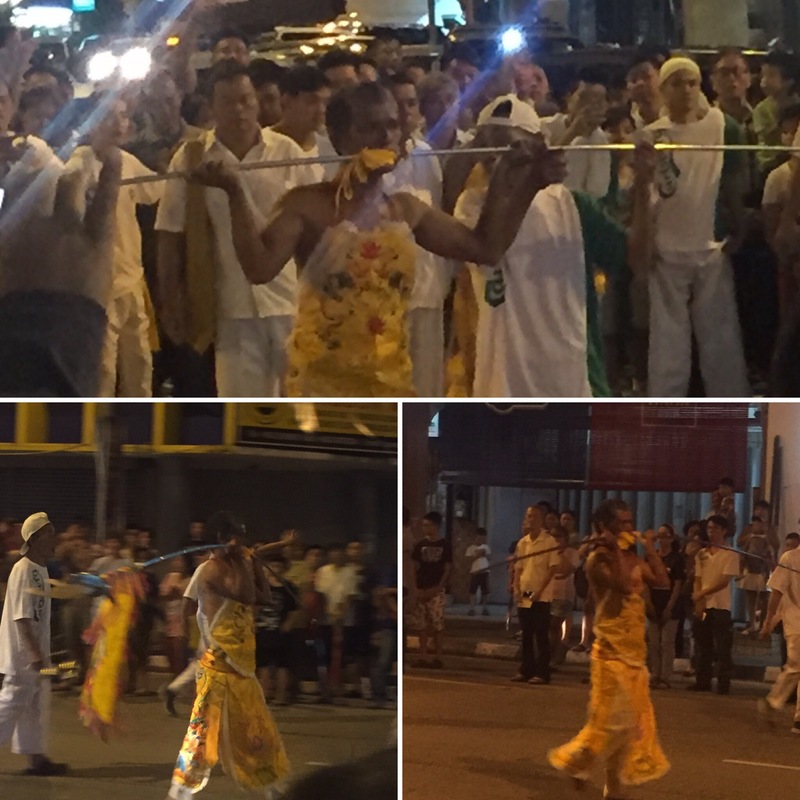 Without speaking to the man or someone who has done this before (we saw a man with the rod through his cheeks in the Penang parade but he was on a float and people were holding the rod for him) I can’t be sure whether he felt the pain or not. He clearly looked in discomfort as he had to keep stopping to be attended to by the crowd of people who had helped perform the piercing ceremony and was having blood wiped away from his mouth – makes me shiver even now to think about it. Maybe the psychological and spiritual preparation he had gone through coupled with the intense belief he must have had in what he was doing meant that what we would associate as intense pain, he felt as something else in that moment. I’ll never know the answer but we both couldn’t really believe what we had seen and spared a sympathetic thought whilst we ate our tea (very good Indian food) for his recovery over the next couple of weeks. Although Ipoh didn’t have a tonne of stuff to do, we enjoyed our time here and I had a lovely birthday. The people were open and friendly despite it being obvious that they weren’t used to an awful lot of western tourists. We enjoyed walking around the town and I still can’t believe our luck that we were there during such a big festival. 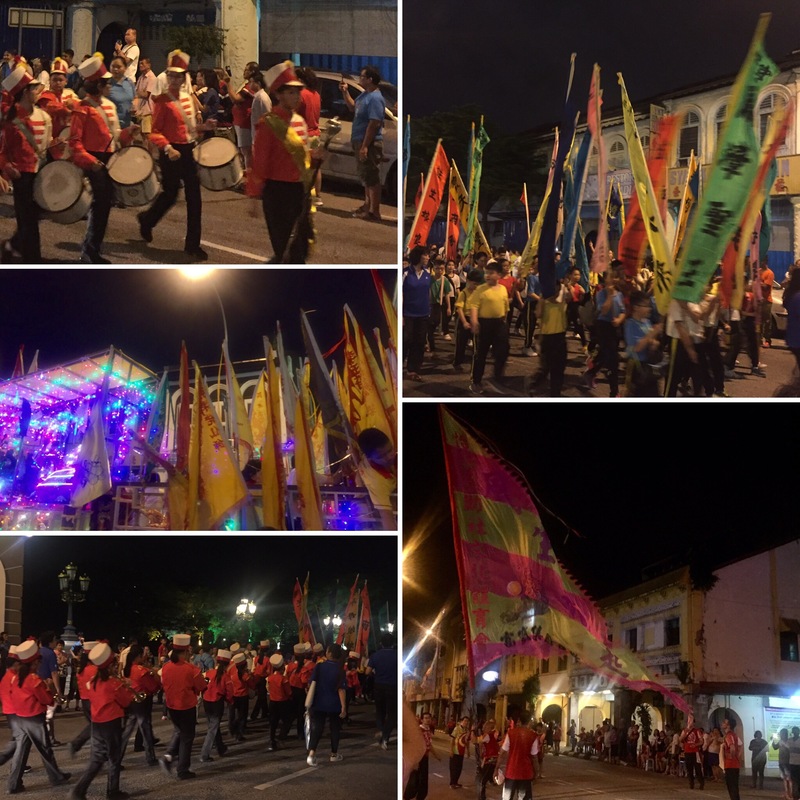 We were told that the festival was for a Chinese God promoting happiness and prosperity and the sheer scale of the event was very impressive. I think that if you had the time and wanted to break up the travelling or just see somewhere a bit less touristy within Malaysia, this would be a good place to stop off and explore.